You can guarantee that life for the members of CSI is never boring. 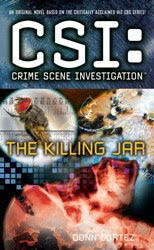 The Killing Jar is book thirteen in this line of books based around the hit television series CSI: Crime Scene Investigation. These books can be read as stand alone novels. I have only watched a few episodes of this series and have to say that this book was a close second to the series. 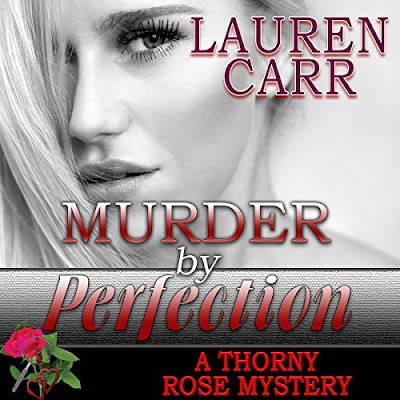 This book had all the elements that make CSI good, though there were just a few parts in the middle of the book where it moved a little slow for me. The plot for this book was intriguing. Who knew that there were so many different deadly insects that you could use to kill someone. Though, from what I read millipedes do not produce poison but they do produce stinky odors. Fans of CSI, who have not read these books, should check them out. I had no idea that there were books based on the TV series. I'll have to check them out. Thanks!